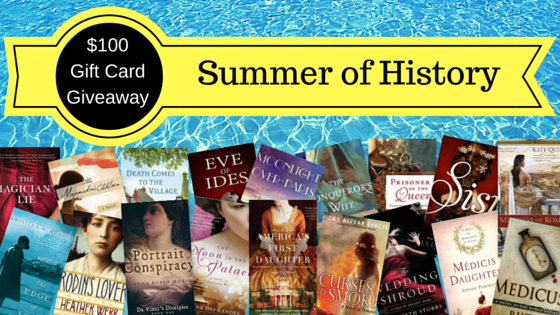 Jul18 Comments Off on Summer of History Giveaway! We’ve got something sure to make your summer great – an awesome giveaway with $100 gift card and amazing books from some of today’s top historical fiction authors! Enter here! And hop over to Laura’s Facebook page for an additional gift card giveaway that goes through Friday, July 22! Good luck! ← New Hardcover Large-Print Release!